We help families save money. The cost of medical care is high and only getting higher. The average cost of a Nursing Facility in Pennsylvania is over $9,000 per month. The average cost of an Assisted Living Facility is $4,000 per month. If paying for needed care seems intimidating, VA Legal Team is here to help. VA Legal Team understands the stress that paying for care can place on a family. We help remove some of the burden by guiding you every step of the way. You do not need to spend down all your assets before qualifying for Medicaid or VA benefits. 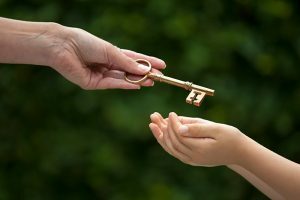 Proven techniques exist to preserve net worth for your heirs. You can receive the care you need and still pass on some or most of your savings to children and grandchildren. You do not need to sell your home to qualify for Medicaid and VA benefits. The key to asset and wealth preservation is simple: do not procrastinate. The sooner you act to protect your home and assets, the better chance you have to qualify for benefits without impoverishing yourself and your family. What Can VA Legal Team Do For You? — Provide a comprehensive assessment to determine the most affordable ways to pay for care. — Develop a plan to protect assets and still qualify for Medicaid (even if your loved one is already in a Nursing Facility). You need correct information to make an informed decision for your family. There is more readily available information than ever before. That can be a blessing and a curse. Relying on bad information can cost your family dearly. Unfortunately, inaccurate information if often provided by Nursing Homes and other care facilities. Before you make a decision for your loved one, contact VA Legal Team for a free consultation.